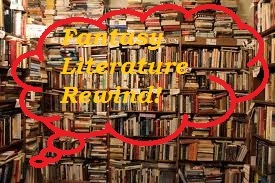 Fantasy Literature Rewind: The Life and Adventures of Santa Claus. When it comes to legendary figures, there are few that quite measure up to Santa Claus. Sure, there are other famous characters out there. However, how many of them have a legend and tradition that still lives the way that the legend of Santa Claus does? Interestingly, many parts of the legend we know today were created in the United States, specifically by residents of New York. Now, I’ve seen my share of Santa Claus origin stories, ranging from Rankin-Bass’s Santa Claus is Coming to Town to William Joyce’s Nicholas St. North and the Battle of the Nightmare King. However, one other notable attempt at giving Santa Claus a back story comes from America’s premier writer of children’s fantasy. That would be The Life and Adventures of Santa Claus by L. Frank Baum. While this story may not be as famous as Baum’s Oz stories, it has been adapted a couple of times. Once as a Rankin-Bass special and once as an animated direct-to-DVD movie. So, this fictional biography of Santa Claus is split into three parts: Youth, Manhood and Old Age. The Youth part of Claus’s life starts in the Forest of Burzee, a sylvan woodland filled with immortal nature spirits and ruled over by Ak the Master Woodsman of the World. A forest that one can only imagine in full bloom, too. Right from the beginning, this may be the greenest Santa Claus story you’ll ever read. We’re so used to Santa Claus stories being perpetually covered in a blanket of white snow. One day, Ak finds an infant abandoned on the edge of Burzee with the lioness Shiegra poised nearby to turn the poor babe into a meal. Ak then commands the lioness to lie near the infant to keep it warm and feed it her milk. Thus, the child is saved. The wood nymph Necile hears of this and moved by the child’s plight goes off to take the child away from Shiegra. Necile then breaks the law of the Forest by bringing the child into Burzee and pleading with Ak to let her raise it. After much deliberation, Ak allows it and Necile names the child Neclaus (meaning “Necile’s Little One” in the immortal language, and a convenient sound-alike to “Nicholas”) but calls him “Claus” for short. Claus grows up in the forest, learning the ways of the Immortals. However, one day Ak takes Claus out into the world to learn the plight of other mortals like himself. Claus is particularly struck by the plight of children. I don’t want to spend the whole rest of this post summarizing. However, it’s safe to say that Claus is on his way to being the famous gift-giver we know he as today. In his manhood, he learns to carve toys out of fallen wood (because a man raised by a nymph would never harm a living tree). He creates his sledge and befriends the reindeer. He comes up with the idea of putting gifts in stockings and creates the first Christmas tree. There are even villains. A group of creatures called Awgwas that drive children to be naughty bedevil Santa Claus until they’re defeated in The Great Battle Between Good and Evil by the Immortals. It’s actually interesting how much Baum covers his tracks when crafting this story, addressing all the doubters out there among his audience. Baum has Claus deputizing parents as his helpers. He also supposedly supplies toy shops with his creations. Also, for those whose house has no fireplace, he has his helpers Wisk, Peter, Nuter and Kilter who can pass through walls deliver the gifts. At the same time, Baum isn’t afraid to have his Claus differ from the expected story. This Santa Claus does not live at the North Pole but in the Laughing Valley outside the Forest of Burzee. He doesn’t get assisted by elves but by a Fairy, Pixie, Ryl and Knook. Also, instead of the usual team of reindeer (named in Clement Moore’s “A Visit from Saint Nicholas”), this Santa Claus has a team of ten reindeer named Racer, Pacer, Reckless, Speckless, Fearless, Peerless, Ready, Steady, Glossie and Flossie. It’s been argued that a lot of the Santa Claus mythology wasn’t set in stone yet, but a lot of it was at least out there. 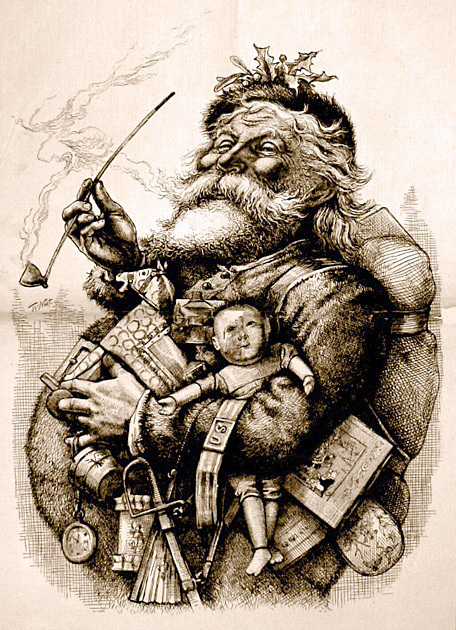 Santa Claus was depicted as living at or near the North Pole as early as 1869 in a poem entitled “Santa Claus and his Works” and Clement Moore’s poem with the names of the reindeer was published in 1823. This book wasn’t published until 1902. You’ll also notice some of Baum’s attitudes coming through the work, particularly his attitude towards children. 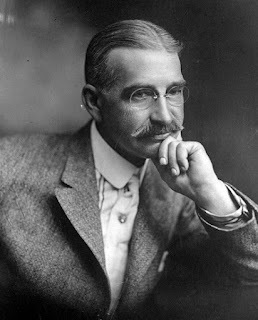 It’s well-known that Baum first created Oz because he wanted a gentler alternative to the old fairy tales. We see something like that here. Santa loses some of his more cautionary aspects when it’s made clear that he doesn’t care if children are naughty or nice but will give gifts to any of them. Also, there’s a scene where he swears to make toys that are only gentle and nonthreatening after a carving of the lion Shiegra scares a little girl (as a boy, I think I would have preferred a badass lioness toy over a gentle kitty cat like the ones Claus usually carves). As far as Baum books go, it was okay. When it comes to Baum’s fantasy writing, this book is kind of toned down. His Oz books as well as other books like The Sea Fairies are so inventive on such a crazy level. Yet, here there are almost none of the absurdly fantastical touches that we associate with Baum’s work. Most of the fantasy here goes into creating the various immortal nature spirits that are friends with Santa Claus. In addition to the Nymphs which guard over trees and the Fairies that guard over people, there are Ryls that guard the flowers and Knooks which guard the animals. By the end of the tale, we’re also introduced to Wind Demons, Sound Imps, Water Sprites and Light Elves among a few others. There are even Gnomes which are associated with the earth and seem much friendlier than the Nomes which often plague his Oz books. These concepts are good, but no match for the fantasy of Oz (Oz has a whole village made up of people made of baked goods, for heaven’s sake). This Santa did get to be put into the greater L. Frank Baum fictional universe, though. The Forest of Burzee also appears in another Baum book Queen Zixi of Ix and Santa visits Ozma for her birthday in The Road to Oz (Question: with movie studios trying so desperately to develop interconnected universes for movies, why hasn’t anyone thought to adapt the “Baumiverse” yet?). As far as Santa Claus origin stories go, it’s not bad. It’s not my favorite one, though. That award probably goes to William Joyce’s Nicholas St. North. Not only because the character got to be in a fun Dreamworks animated movie but because it has a lot of the far-out Baum type of fantasy that this book lacks. The thing is though, that Santa Claus really doesn’t need an origin story. The most important thing about him is the magic and generosity he’s associated with in the here and now. Most kids probably aren’t as interested in where he came from as whether or not he’ll be coming on Christmas Eve. So, if you (or your kids) want a decent little Santa Claus tale by the USA’s most famous fantasist, give it a try. It’s good, even if I wouldn’t consider it required reading. Thomas Nast's Santa Claus. No relation to this book at all, but still a nice illustration. In the meanwhile, this little Fairy Tale Geek will try to figure out how to get the Baum Cinematic Universe off the ground. MGM made The Wizard of Oz, maybe they’re looking for a new multi-franchise endeavor . . .
Jack and the Death Star. Cue the John Williams music! Star Wars! Is there anything else I really need to say? The original movies have become a pop culture landmark. They essentially turned the movie industry into the one we know today. And there are few movies in the world that are quite so sacred to what’s become known as “geek culture”. Now, I’ve heard Star Wars referred to as many things. Star Wars has been called a western, a samurai film, a war movie, a space opera, a myth, a fairy tale and even an homage to Casablanca. However, it is as a fairy tale that we’re most interested in. The phrase has been bandied about in regards to the franchise for ages. Alec Guinness, who played Obi-Wan Kenobi, once referred to the movie as “fairy tale rubbish” (he also negotiated to get a cut of the merchandising. He understood the appeal of the movie even if he didn’t have any respect for it). Also, when Disney bought Lucasfilm, one of the common jokes was that it was the first time Disney actually had to pay money to get the rights to a fairy tale. I’m going to break down the fairy tale tropes in Star Wars as I see them. This is more or less an echo to my “Fairy tale tropes in Doctor Who” post I made shortly after I started the blog. So, Star Wars is a fairy tale. Not only that, I would even say that Star Wars is quite possibly a Jack tale. Luke Skywalker- Luke is our Jack. He’s the everyman, the simple country boy and even the fool to an extent. He desires to go off and seek his fortune. This is his means to progress and come into his own. He wants to do this, but there are forces that hold him back. In many tales of this type, the Jack character is the third son who must watch his two older brothers (in Appalachian tales, usually named Will and Tom) go off into the world first and fail before he can convince his parents that he should be allowed to go too. In Luke’s case, it’s his Uncle and Aunt holding him back until they’re forcibly removed from the situation. Also, like in some variants of “Jack and the Beanstalk”, there’s some mystery surrounding his father. His Uncle tells him he was the navigator on a cargo vessel, but he finds out that his father was actually a Jedi Knight. It’s like in some of the variants of “Jack and the Beanstalk” where the fairy who shows up tells Jack that his father was a rich man and the giant killed him and took all his worldly goods. Of course, the story changes a little in Episode V ("The Empire Strikes Back"), but we’re mainly going to focus on Episode IV ("A New Hope") here. Obi-Wan Kenobi- Obi-Wan is, for lack of a better word, the crone. He’s the mysterious and knowledgeable older figure who knows more than the protagonist and offers up advice and means of progressing. He’s the fairy that Jack meets at the top of the beanstalk, but also the man who trades Jack the beans. He’s also analogous to a someone like the old woman who gives the soldier the invisibility cloak in “The Shoes that were Danced to Pieces”. He does have a meatier role than these characters usually do, but that’s because Star Wars draws from other types of stories too. Obi-Wan can also be seen as being similar to Merlin in Arthurian legend or the sensei in a martial arts film. Han Solo- I want to say that if Luke is Jack as the everyman, then Han is the other side of Jack. That he’s Jack as the lucky rogue and trickster hero. However, that just doesn’t seem right. Han is certainly a rogue and he’s pretty clever, so he could be considered a trickster. There are plenty of old folk tales about rogues and tricksters. There are Coyote and Anansi from tribal cultures. 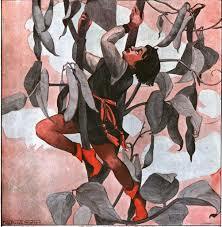 There’s Grimm’s “The Master Thief” and the Spanish story of “The Ingenious Student”. And of course, the most familiar version of Jack does steal from a giant. There’s just something about Han’s character arc that doesn’t let this work. The thing is that Han actually learns something as his adventure progresses. He becomes less selfish and devotes himself to a bigger cause. In most trickster hero Jack tales, Jack doesn’t really seem to learn anything. Jack usually comes through them without a scratch. If anything, those stories tell that being deceitful and selfish is worthwhile. This isn’t just where this metaphor breaks down, it’s also where the theory that fairy tales are for teaching lessons to children breaks down, but I digress. However, we must consider that a folk tale and a motion picture are different media for different eras. The cinematic Han Solo with his character arc may be an evolution of the trickster hero for a modern age. Speaking of updated character roles . . .
Princess Leia Organa- In “A New Hope” (aka Episode IV), Princess Leia is an update of the traditional Princess-in-Distress trope. We’ve seen it a million times in fairy tales and video games. I wrote a whole post once about gender relations in fairy tales where I commented on how this trope usually uses the princess as more of a reward than a character (it’s kind of okay, though. Princes get used as rewards too. It’s equal opportunity objectification). However, Princess Leia changes that. Leia debuted after the women’s movement. Rather than just being a goal to achieve, there’s a whole lot more to it. Leia doesn’t get captured or need to be rescued for her own sake. As a member of the Rebel Alliance, she stole plans to the Death Star and was captured for that reason. Also, once she is rescued, it becomes clear that she’s no slouch. She only needs rescuing because she’s in so far over her head. Leia is in many ways the precursor to the more liberated fairy tale princess we see so often in media today. Interestingly, when I was thinking of the different types of tales out there, I only thought of one where the person in need of rescuing is so useful. It’s the story type where the male protagonist is trying to take away a female character from their overbearing father who is a king/ogre/sorcerer and is given impossible tasks. The fact that the person holding Leia prisoner in “A New Hope” is revealed to be her father in “Return of the Jedi” is not lost on me. Darth Vader- Vader is an interesting one, because he grows in importance as the movies progress. In keeping with the “Jack and the Beanstalk” comparison, Vader is like the giant in some versions of that story. In the variants of “Jack and the Beanstalk” that try to give more back story, Jack is told that his father befriended a giant who then betrayed him and stole all his worldly goods. This is similar to the story Obi-Wan tells Luke about how his father was befriended and betrayed by a young Jedi named Darth Vader. This story, of course, changes in huge ways with “The Empire Strikes Back”. The thing about fairy tale villains is that most of them are really more obstacles at best. The giant in “Jack and the Beanstalk” isn’t the real villain in most versions. The real villain is poverty. Such is the case with Vader in “A New Hope”. He’s actually a sub-villain. He’s subordinate to Grand Moff Tarkin (Peter Cushing) in that movie. His departure from the film is kind of lackluster. Vader’s TIE Fighter just goes tumbling off into space after Han shoots it in the Millenium Falcon. Can you imagine if there had been no sequels and that were the last we saw of Darth Vader? R2-D2, C3PO and Chewbacca- Every fairy tale has “magical helpers”. 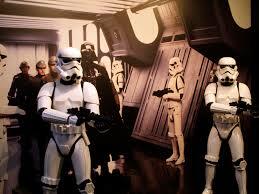 However, Star Wars is different from traditional fairy tales in that the helpers have a huge role. A good chunk of the first film’s story is told from the perspective of the helpers. R2 and 3PO are the main focus of the first part of “A New Hope”. In a way, Luke is more the “magical helper” at that part of the film because it’s R2 who is on a quest until they find Obi-Wan and it becomes Luke’s story. Chewbacca actually plays more into the traditional “helper” role because he’s actually repaying a debt to Han Solo (note: I had to look this up because I don’t think it’s mentioned in the movies). Han freed Chewie from enslavement and Chewie swore a life debt to him. In most fairy tales, helping a bird or mouse or fish will result in a one-time favor. When you rescue a Wookie, apparently you get a companion for life. Most fairy tales require a change in location of some sort. A move from one small place to a bigger world. To get to their ultimate destination, fairy tale characters have to pass through the woods first. The woods are the dark and forbidding place. They are the crucible. They are the place where heroes are tested. Now, Jack doesn’t go through the woods so much as he goes up a beanstalk. Luke goes up as well in that he leaves his home planet of Tatooine. The Death Star serves as the crucible in this story. It’s on the Death Star that Luke faces great odds and also faces tragedy as Obi-Wan is killed. It’s interesting to note the difference in color palette. Normally, the woods are dark and foreboding. The Death Star’s interior is dark, but it seems even more so compared to Tattooine which is so bright because there’s no shade and two suns. Also, there’s a spatial difference. The Death Star is all enclosed spaces while Tattooine is wide open desert in almost every direction. One of the notable things about fairy tales is that when magical things happen, people usually don’t bat an eye at it. It’s treated as if it’s all normal. Star Wars takes this to a whole other level. There are things that would be considered fantastic to you and me all around them. There are aliens, sentient robots, faster-than-light spaceships and exotic interplanetary locales. None of these seem at all strange to the people who inhabit this universe. However, on top of that they also have The Force. The Force, which can more or less be summed up as “space magic combined with the Asian idea of chi”, is something that is questioned and doubted. Han Solo dismisses it as a “hokey ancient religion”. One of the officers on the Death Star mocks Vader’s “sorcerer’s ways” before getting Force-choked from across the room. So, in the world of Star Wars there is magic on top of magic. These are just my observations and there’s probably a lot more to it. According to George Lucas, a lot of Star Wars stems from Joseph Campbell’s theory of the monomyth (to Joseph Campbell, almost every old story classified as “myth”). However, with Star Wars: The Force Awakens opening this week, I thought it would be good to remind people that the whole thing really started with a boy who wanted to go off and seek his fortune. 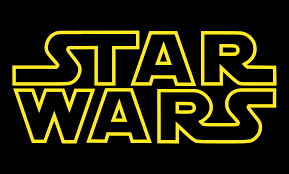 “Recognizing the Modern Fairy Tale” – Analyzing Star Wars using Bruno Bettelheim’s theories. Anyway, until next time, may the force be with you! The Return of the Super-Heroes of Fairy Tale Writing! I don’t know if you all recall my last post on the League of Fairy Tale Super-Writers, but at the time I had established a line-up of seven writers, collectors and scholars or teams of them who represented Earth’s Mightiest Fairy Tale Transcribers. The line-up consisted of: Jacob and Wilhelm Grimm, Charles Perrault, Hans Christian Andersen, Joseph Jacobs, Asbjornsen and Moe, Aleksander Afanasyev and the new guy Franz Xaver von Schonwerth. Now, at the time, I included von Schonwerth to be charitable and support a relatively new name on the scene (despite the fact that he did his work in the 19th century). Now I’ve read his book and I’m a bit unimpressed. Few of the tales really jump out at me and they all seem very short and very blunt. A rereading may be beneficial, but until then it means he’s off the League roster. But that just means it’s time to add a new League of Fairy Tale Super-Writers name to the roster! Now, this time I chose to do something a little bit different. The member I chose is not a collector like the Brothers Grimm or a writer like Hans Christian Andersen, but a translator. However, for a certain part of the world, he contributed a great deal regarding the popularity and diffusion of fairy tales. That’s why the newest member of the League of Fairy Tale Super-Writers is . 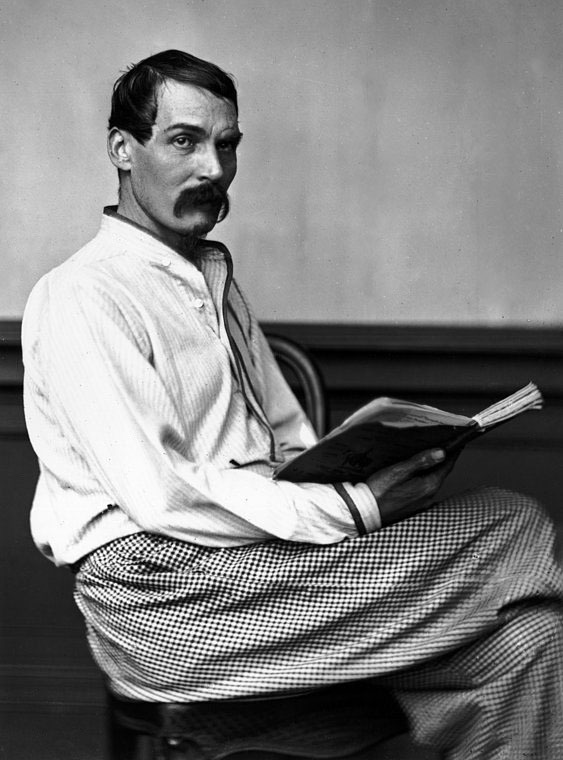 . .
Now who is Sir Richard Francis Burton? He’s the man who wrote what has come to be the standard English translation of The Thousand and One Nights. Now, don’t get me wrong, The Thousand and One Nights (aka The Arabian Nights) existed long before Richard Burton. It’s one of the oldest anonymous works of Arabic writing there is. But like I said, the work is anonymous. Though the stories in the Nights are largely acknowledged to have folk roots, no one knows who it is that wrote them down. 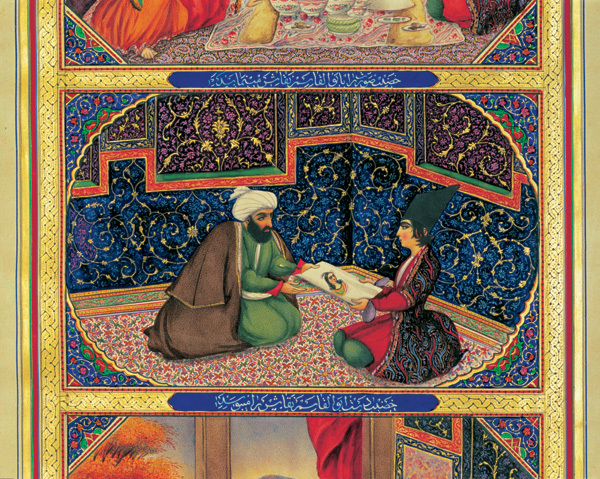 On that note, we may as well give the storyteller Scheherazade from the book’s framing sequence the credit. We know more about this fictional woman than we do about who actually compiled the book that she’s in. The true acclaim for those associated with The Thousand and One Nights these days goes to those who undertook the massive job of translating it. Burton wasn’t the first. The first translation into a European language was by Antoine Galland into French. There were other translations by Edward Lane and John Payne as well. Now, Burton’s translation, which takes up ten volumes, is not without controversy. 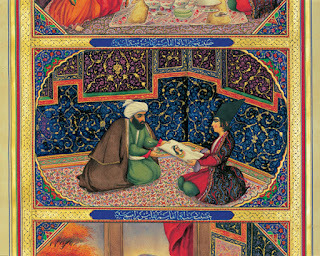 His version includes stories from Galland’s that are not in the original Arabic manuscript. These were stories that Galland claimed to have heard from a Syrian storyteller. Accusations of plagiarism were made. His version of the text was criticized at the time for its archaic language and great focus on sexuality. But still, Richard Burton’s translation of the Nights continues to be a standard. To some extent, the things he was accused of may have made his work more appeal in the long run. The stories picked up from Galland are considered perennial favorites like “Aladdin and his Lamp” and “Ali Baba and the Forty Thieves”. His archaic language gives the stories a feeling of exoticism and antiquity. His focus on sexuality in the tales gives them a sense of the risqué and forbidden. Also, maybe we just want to associate stories like The Thousand and One Nights with someone like Burton. Burton was an explorer, soldier, spy, cartographer, scholar, poet, fencer and diplomat among other things. He once even disguised himself as an Afghani Muslim so that he could visit Mecca so that he could measure and sketch the Ka’bah, a great holy Muslim shrine. This was during a time when Europeans were not very welcome in the holy city at all and when bandits still plagued the road there. There is almost nothing I can do to not make this guy sound like Indiana Jones. But most of all, what makes this guy part of the list is what he accomplished by created the translation that he did. He added to the collective view of fairy tales in the Western world. Where would the genre be without the exotic (or exotic to us in the West) addition of The Thousand and One Nights? Where would it all be without Aladdin, Sindbad, Ali Baba and Scheherazade? Where would the genre be without the djinn, the magic lamps, the mysterious treasure caves and the cry of “Open Sesame!”? So, for that I gladly add Sir Richard Francis Burton to the League of Fairy Tale Super-Writers. Welcome to the League, Burton. Hope you survive the experience! 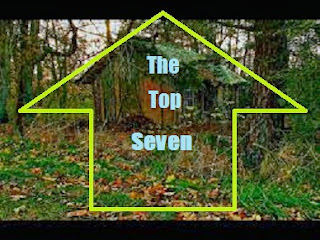 The Top Seven Oz Characters (who aren't in the first book). So, it looks like NBC’s at it again with their yearly live musicals. The first time, they did The Sound of Music, which I had nothing to say about because it’s not even vaguely fairy tale related. Then last year they did Peter Pan, which led me to make a post about the Peter Pan story in general. Now, this year they’re going to be presenting The Wiz. For those who don’t know, The Wiz is The Wizard of Oz as presented from an African-American perspective and with much funkier music than the Judy Garland film. I can’t say much about NBC’s specific production of The Wiz because I haven’t seen it yet. I’m recording it to watch later. However, one thing I can talk about is the fact that it’s yet another adaptation of the first book! Seriously, what’s with that? There are so many wonderful characters and situations in the later books that cry out to be adapted. But other than some off-brand animated productions and weird, dark mash-ups like Return to Oz, we barely see any of it. Well, in honor of the characters we hardly ever see, I’ve decided to compile a list: The Top Seven Oz Characters (who aren’t in the first book). 7) H.M. Woggle-Bug T.E.- The Highly Magnified Woggle-Bug,Thoroughly Educated (abbreviated as seen in the title there) first appeared in Baum’s The Marvelous Land of Oz. According to his back story, he was an ordinary insect who lived in a schoolhouse and would listen to the lectures of the brilliant Professor Nowitall (pronounced “know-it-all”). One day, he was caught by the good Professor and stuck in a machine to be magnified and projected onto a screen as part of a lesson. When a distraction occurs, he seizes the opportunity and leaps off the screen in his magnified state. So now, both Highly Magnified and Thoroughly Educated, he sets off into the world. Later on, he would join up with a number of the other characters to free the Emerald City from the army of General Jinjur and he founds The College of Art and Athletic Perfection in the Munchkin Country. The Woggle-Bug is usually a rather decent fellow. Though, he is often a bit overly proud of his education. He likes to spout Latin phrases and long words. He’s also rather fond of making puns, much to the annoyance of his travelling companion Tip (though, this is a trait I share with the Woggle-Bug). Now, I know that different folks have different interpretations of these things, but one thing I always picked up in regards to the Woggle-Bug is that while he may be Thoroughly Educated, he never exactly seemed smart. So, I think that the Woggle-Bug may have been a commentary by Baum on the difference between practical intelligence and education. Your mileage may vary, though. 6) Jack Pumpkinhead- Jack Pumpkinhead is another character who first appeared in The Marvelous Land of Oz. He was created by Tip and brought to life using the Powder of Life. His body is made of wood and his head is a carved pumpkin. The pumpkin seeds act as Jack’s brains. Jack isn’t a particularly bright fellow, but he is amiable and the first friend Tip made on his adventure in the second Oz book. Since he was created by Tip, he sees Tip as his father. Jack would go on to have a number of adventures with other Oz characters. Though, he is probably best depicted as a surprisingly successful farmer, despite the fact that he mostly grows pumpkins so that he can use them to replace his current head when it starts to rot. Honestly, I can’t explain Jack’s placement on this list except to say that I like him. While Woggle-Bug can be kind of annoying, I just find Jack Pumpkinhead to be fun. He doesn’t have any overwhelming issue or flaw like many Oz characters have, besides having to replace his own head every once in a while. Also, there’s a funny scene in The Marvelous Land of Oz with him and the Scarecrow in which they’re both trying to speak through an interpreter because neither of them realizes that both of them are speaking the same language. 5) Tik Tok- Tik Tok is a big, copper mechanical man introduced in the book Ozma of Oz and is not to be confused with the song by Ke$ha. Tik Tok is actually found in the Land of Ev, a land which lies across the Deadly Desert from Oz, by Dorothy Gale when she washes up on Ev’s shore. One notable thing about Tik Tok is that he’s a wind-up mechanical man who has to be wound up three ways: thinking, speaking and action. Tik Tok was a reasonably popular character, having gotten both a play and a book with his name in the title. He also appears in Disney’s Return to Oz alongside Jack Pumpkinhead and a few others. To some degree, Tik Tok seems like an update of the Tin Woodman with less baggage. The Tin Woodman had once been a man from the Munchkin Country and was changed, seemingly losing his heart in the process. However, Tik Tok was never truly alive and doesn’t seem to have much of a problem with it. But then, sometimes you don’t know what you’re missing if you never had it. 4) Ojo the Unlucky- Ojo is a young Munchkin boy introduced in The Patchwork Girl of Oz. He lives with his Uncle who he calls Unc Nunkie in the Blue Forest. One day he goes with his Unc to visit Unc’s friend Dr. Pipt and finds out from Pipt’s wife that people call him “Ojo the Unlucky”. Ojo accepts this to be true for various reasons including the fact that he was born on Friday the 13th, is left-handed, has a mole under his arm and just the fact that his actions lead to a huge journey that he must undertake. The funny thing is that when he meets characters like the Tin Woodman and Ozma, they call him “Ojo the Lucky”. The reason being that all the reasons he gives for being unlucky, they all see as reasons he’s lucky. For example, his grand journey is a chance to meet new people and see new places. It’s not uncommon for children’s entertainment to touch on the notion of luck. However, the message is usually something along the lines of “we make our own luck”. Baum took a different approach. Instead, he seems to focus on the notion that luck either good or bad is a matter of perspective. If you view yourself as unlucky, then that’s how you’ll see everything that happens to you and it becomes a self-fulfilling prophecy. View yourself as lucky and the whole thing turns around. 3) Scraps Patchwork- Scraps is the title character in The Patchwork Girl of Oz. She was created by Dr. Pipt’s wife from an old patchwork quilt and cotton stuffing to help her around the house. However, Ojo messed with the “brain grains” that went into Scraps and the result was a wild, free-spirited creature with a bit too much “poesy” in her soul. Scraps is just a lot of fun. While so many of the other characters in Oz seem to be rather rational despite their strangeness, Scraps seems to add just a touch of chaos to the proceedings. Not in a dangerous way, but in a carefree, exuberant sort of way. Also, our old friend The Scarecrow seems a bit sweet on her in her debut book. Interesting note: Baum made a silent movie based on The Patchwork Girl of Oz back in 1914. 2) Ozma- In terms of roles, Ozma is one of the biggest characters Baum introduced into the Oz series. Her back-story can get a little tricky because Baum tended to retcon his own books from time to time, but the basic story is that Ozma was the rightful princess of Oz who fell into the clutches of a witch named Mombi at an early age. Interestingly, Mombi hid Ozma by changing her into a boy named Tip. It’s a concept that hits a whole different chord when read as an adult and has gotten some to refer to Ozma as the first transgender princess (sorry Greg McGoon, Baum may have beaten you to it). More telling though, is how Ozma reflects Baum’s own politics. Lyman Frank Baum was an early feminist and proponent of women’s suffrage. The characters who often have any true power in Oz are women, and Ozma stands at the top of the heap. Though, personally, I’m not always a fan of how Baum depicted her politics. For example, Ozma outlawed anyone except the Wizard and Glinda from practicing magic. But still, few characters are bigger in Oz than Ozma. So, which Oz character could really take the number one spot away from a major character like Ozma. Well, drumroll please . . . the answer is . . .
1) The Nome King- Sometimes, there’s nothing better than a really nasty villain. Now, most people remember the Wicked Witch of the West from the original Oz book/movie, but the Witch was really a minor character in the grand scheme of the Oz books. The Nome King was the real villain of the series. He first appears in the third book, Ozma of Oz. In that book, he has taken over Oz’s neighboring country of Ev. It’s then up to Dorothy, Ozma and Ozma’s army to set things to rights. Of course, The Nome King hasn’t made things easy. He’s turned the entire royal family of Ev into knick-knacks using his magic golden belt and makes the various heroes guess which one is real. The heroes triumph of course, but that doesn’t stop the Nome King from coming back again and again to bedevil the heroes of Oz. Even when they use magic water to erase his memory, he still ends up back at his evil ways with only a name change (he forgot his name was Roquat and changed it to Ruggedo). It’s this constant tenacity that really impresses me about the Nome King. He’s not even from Oz but after they beat him once, he just can’t let it slide. Luckily, Nomes have one glaring weakness. Eggs are poison to Nomes and those can be provided by Dorothy’s faithful hen Billina. So, there’s the list. This is just the beginning, though. There are so many great characters in the Oz books. Like Polychrome the Rainbow’s Daughter, or The Shaggy Man, or Button Bright, or the Sawhorse or the Very Hungry Tiger. There are even characters that were imported from other Baum books like Captain Bill and Trot from The Sea Fairies. So if you haven’t checked out the Oz books, you ought to do it. You’ll likely make a new friend or two.